A chain of small islands—Cat, Willow and Bass, collectively known as the Cat Islands—once formed the backbone of extensive wildlife habitat in southern Green Bay. The islands were washed away in the 1970s by high water levels, storm waves and ice shoves. Now, the islands are rising again. Why is this a good thing? 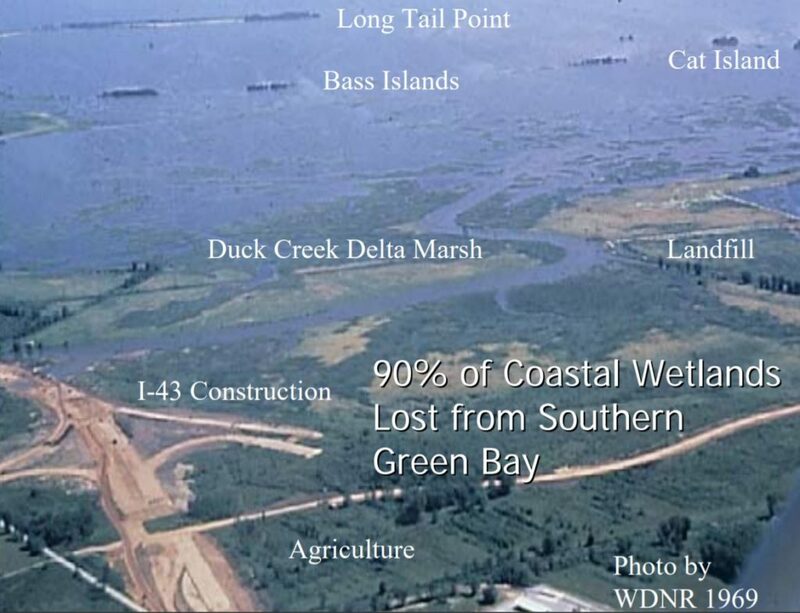 Habitat loss is a critical factor in the impaired health of the lower bay ecosystem. The Cat Island Chain historically functioned much like coastal barrier islands, protecting a large expanse of shallow bay waters and wetlands providing fish and wildlife habitat. Now that the islands are being rebuilt, nearby coastal marsh and underwater plant communities will be protected from destructive wave action. These habitats are critical in sustaining important sport and commercial fisheries. The restored islands also will provide needed habitat for shorebirds, waterfowl, colonial nesting birds, amphibians and reptiles. Island habitats are essential to colonies of nesting water birds because they offer isolation from mainland predators and human disturbance and proximity to aquatic food sources. In past years, the islands had supported at least 13 different species of colonial nesting birds—one of the highest biodiversities of any Great Lakes island. There have already been successes for the wildlife. In 2017, the U.S. Fish and Wildlife Service requested Sea Grant’s assistance in adjustment to the design of a shallow-water sill at the islands, which has resulted in improved turtle habitat, especially important for two species. The Blanding’s turtle classified as a special concern in Wisconsin. The semi terrestrial wood turtle is listed as threatened in the state. In 2016, for the first time in 75 years, the endangered piping plover nested and successfully fledged three chicks from the Cat Island Chain. These tiny birds are a rare sight in the Great Lakes due to habitat loss and predation. Twenty-nine other species of shorebirds are also finding a new haven, including the federally threatened red knot and the endangered gull-like Forster’s tern, which has successfully bred in lower Green Bay for the first time in more than 20 years. The restoration work, which will result in more than 240 island acres and an additional 1,400 acres in adjacent wetlands, is also benefiting the shipping industry. Roughly 170 ships visit the Port of Green Bay annually, moving tons of asphalt, coal and other commodities. 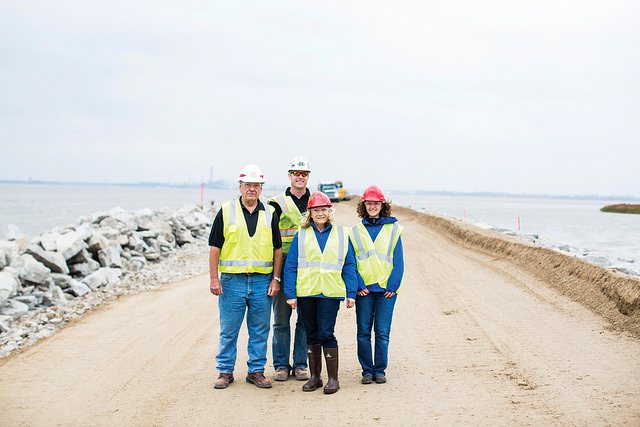 The port generates an estimated $83 million in economic activity each year. To keep those shipping lanes open, the U.S. Army Corps of Engineers regularly dredges the channels and harbors, pulling up materials that can include mud, weeds and sand. The port is then responsible for disposing of the material in storage facilities that can cost up to $30 million to construct. If the dredged materials are clean, however, they can instead be used for other projects such as construction or habitat restoration. In addition, reusing dredged materials rather than storing those materials yields big savings for the shipping industry. The outer Green Bay navigation channel dredged material is mostly fine sand and contains very low or non-detectable levels of contaminants. Those are now being used to restore the Cat Islands. 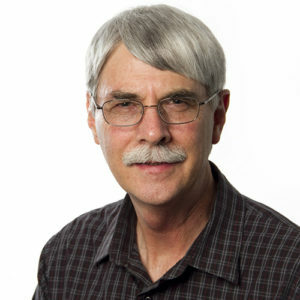 It’s an idea born of conversations in the late 1970s between Sea Grant’s coastal engineer and the program’s habitat specialist. They wanted to find a way to reduce the waves in and around the shoreline and out in the bay and reduce the sediment swirling around in the water. In 1978, Sea Grant made the proposal to restore the islands and adjacent habitats and worked with agency partners for more than 10 years to develop a plan and secure funding. Partners include the U.S. Army Corps of Engineers, Brown County Port of Green Bay, U.S. Fish and Wildlife Service and the Wisconsin Department of Natural Resources, Wisconsin Department of Transportation, Lower Fox River/Green Bay Natural Resource Trustee Council, University of Wisconsin-Green Bay and 14 port terminal operators. Construction of the islands began in 2012 and will eventually be home to, according to the plan, 2.3 million cubic yards of dredged material. A 2018 video highlights ongoing progress.